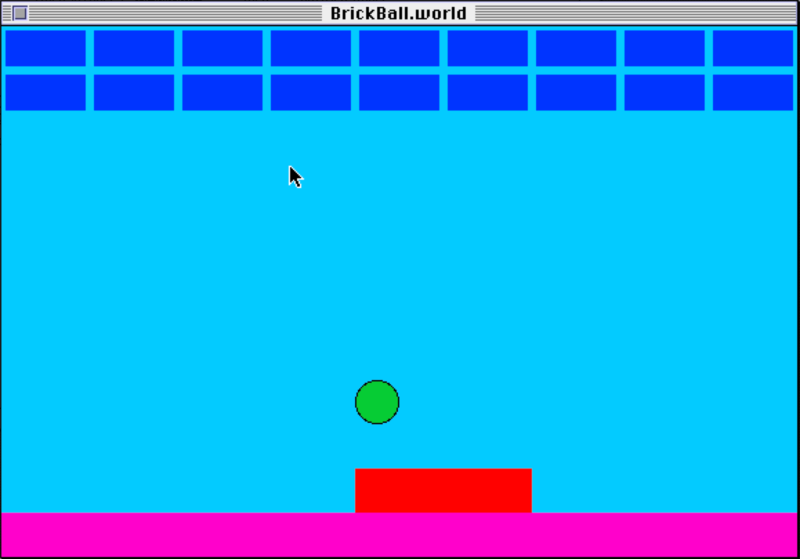 I didn't learn to program in order to make games, but once I had learned a bit of BASIC, it's what I spent most of my time doing. I played around with a bunch of kid-oriented tools that didn't survive to the present day, copying and experimenting and just generally spending a ton of time glued to a screen trying to make things happen. Some of these tools were brought home on CDs by my dad: Learn to Program Basic, TrueBASIC, Visual MacStandardBasic. Others I found online, like the original Cocoa. In this post I'll collect a few screenshots for your amusement and mine…mostly mine. 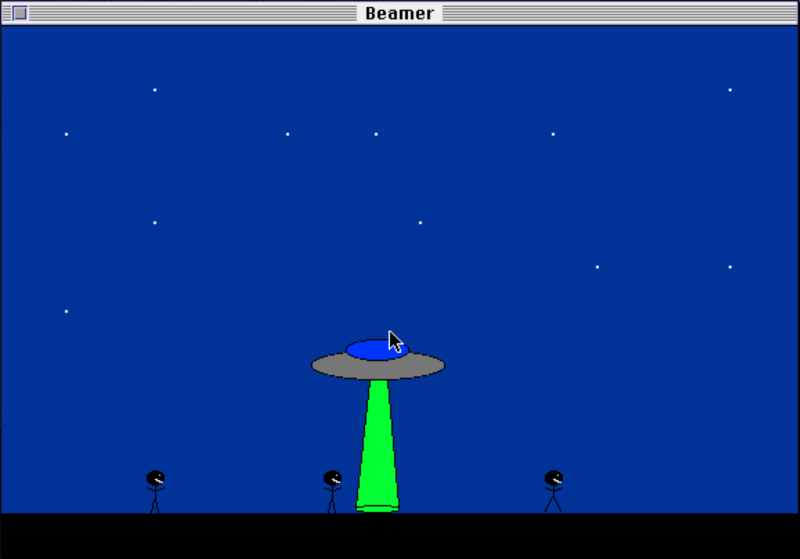 :–) I had made a few text-based games earlier, but this is the first batch of things I ever uploaded to the internet. First, a video to get you in the mood! 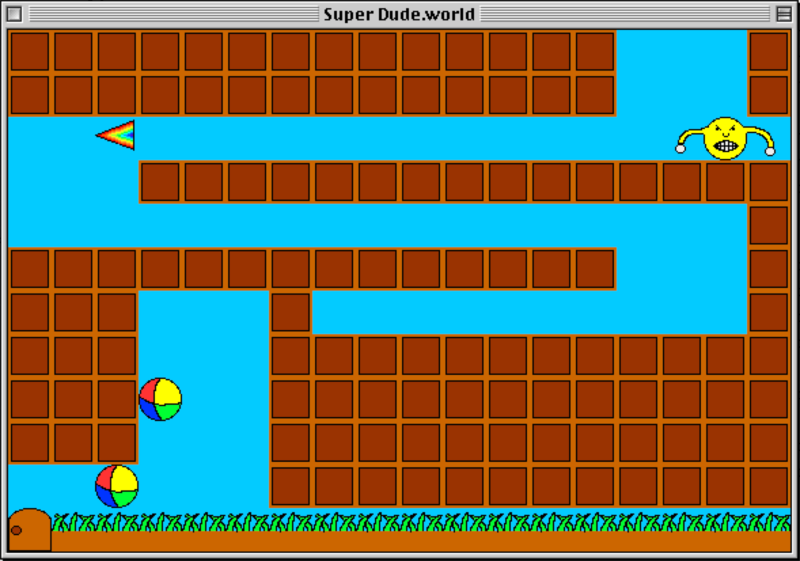 My best Cocoa DR3 game was Super Dude, a simple puzzle game where you had to fire rainbow arrows to destroy obstacles. 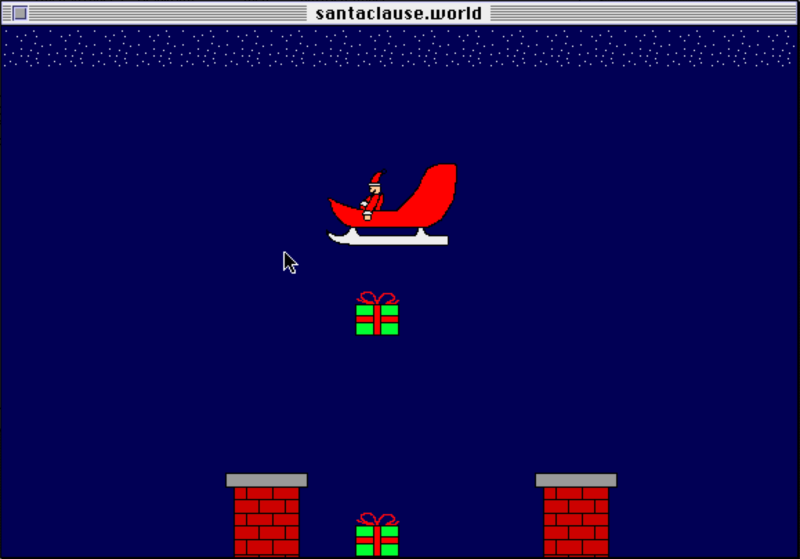 …and games where you had to abduct humans into your spaceship, and drop packages from Santa's sleigh into chimneys. There have been a lot of programs called GameMaker. 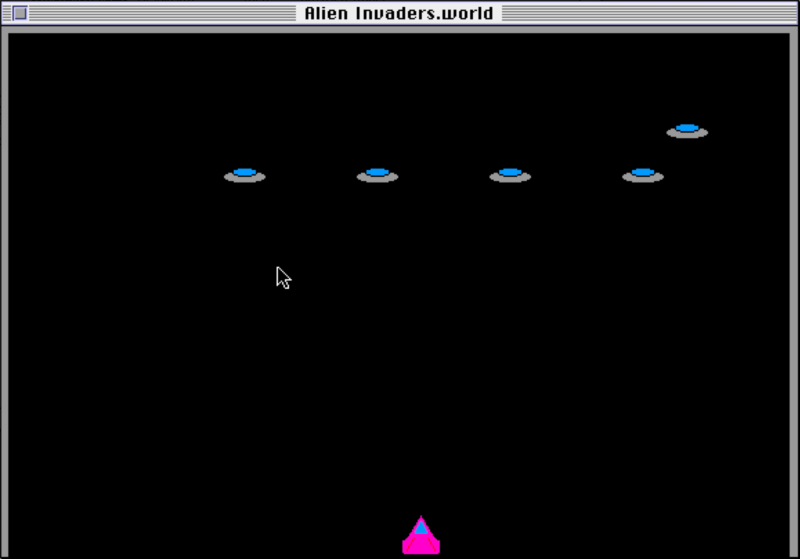 The one I learned was this one, an approximation of HyperCard tailored toward World Builder-style games. 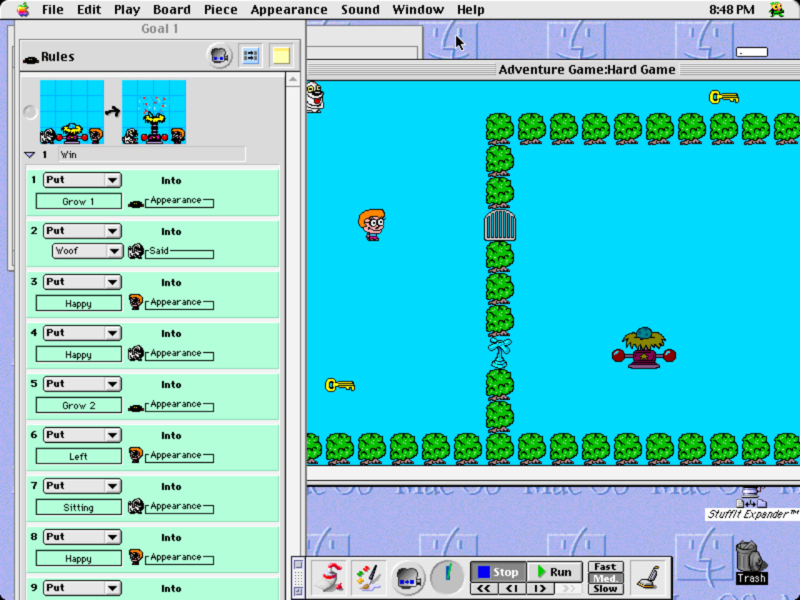 It had a simple interface, a simple programming language, and a relatively large community, so it was perfect for a kid just figuring things out. Those are all the games I thought were worth putting online around 2000-2001 when I was about 12. In part 3, I'll look at some non-games, and the overly detailed README files for those non-games!